jrpgs Archives - The Exclamation Mark! Okay, tell me if you have heard this one before: once upon a time, in a fantasy or perhaps sci-fi land, far, far away a teenager with very loose control over his hair gel bottle has been tasked with saving the world. It turns out that he is the chosen one and must rally his friends together to fight an evil enemy. The friends include a loud and brash fighter-type, a quiet ingénue woman that the hero secretly pines after, the hero’s female childhood friend who is clearly romantically interested in him, and an odd creature character with magical special abilities. After exploring the world and facing much adversity, the ragtag bunch of young heroes defeat their enemy, only to discover that another even bigger enemy was behind the nefarious deeds all along. Any of this sound familiar? If so, then congratulations: you have definitely played a Japanese role-playing game! Japanese role-playing games – or JRPGs – occupy an interesting space in videogaming as no other genre that I can think of has the nationality of the country so attached to it. The Witcher isn’t called a Polish RPG, despite being made in Poland. It is just called a role-playing game with the adjective “western” only occasionally added to differentiate it from the distinctive kookiness of the Japanese variety. Now, it already sounds like I am coming down on JRPGs and I don’t mean to because I honestly like them and there are few genres of any entertainment that elicits more nostalgia from me than a good ol’fashioned JRPG. Let’s take a look back, shall we? In every generation, computer gaming enthusiasts continuously tout the complexity and maturity of the games that are exclusive to the PC as a platform. I would argue that there was no bigger truth to that than in the 8-bit and 16-bit generations where limited technology, marketing, and staunch kid-friendly corporate value systems limited the breadth of console gaming. Even Sega, which loudly proclaimed that it did “what Nintendont”, offered similarly basic experiences although often loaded with additional blood and ‘tude. You had me at Spider-Man but then you throw in MJ? I love you Genesis! There is nothing wrong with a basic experience per se – Pong is basic, Super Mario Bros. is basic, as is almost everything that requires a two button controller. For every Zelda or Metroid, there was probably one hundred Excitebikes or Track and Fields, fun games for sure but nothing that will have you gripped to your controller at all hours of the morning. From Star Control 2 to X-COM: UFO Defense, Dune 2, the adventure catalogues of Sierra and Lucasarts, the Ultimas or Wing Commanders – PC was the place to be for older gamers seeking a deep multi-hour experience. Kids are pretty smart though and they wanted Zelda-sized experiences out of their games. 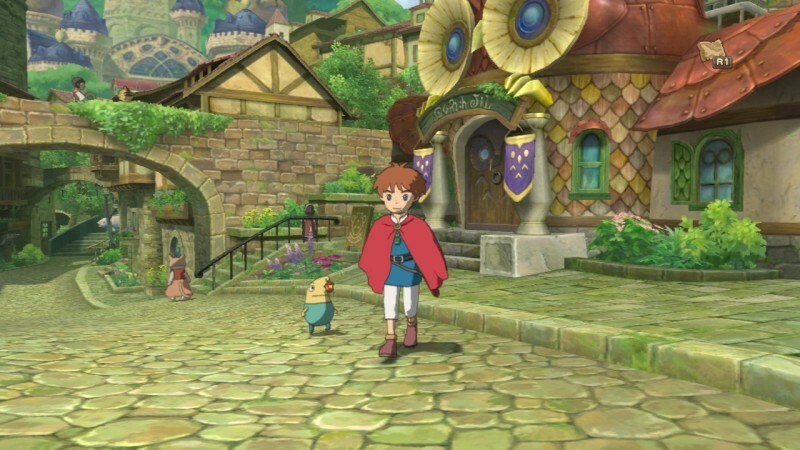 Enter the JRPG: the equivalent of a gaming gateway drug. One of the first, and most notable, remains Final Fantasy. It is now pretty widely known that the name “Final Fantasy” stems from the fact that it was Squaresoft’s last attempt at making a game before they were to go out of business. They threw everything into the game, including the kitchen sink, and a large yellow bird that you could ride around on. It had story, personality, complexity, and it was a huge success (despite the fact that you had to buy the healing potions one at a time – I am still annoyed about that). My mom didn’t want us to have a Nintendo when we were kids. 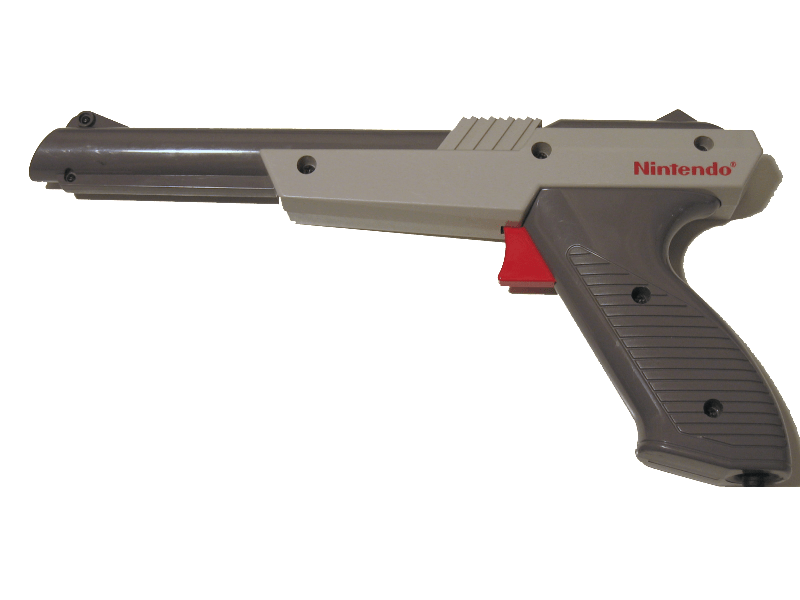 She saw the zapper and thought that it would conditioned her boys to join the military (in her defense, the zapper really does look like a gun – I would like to see Nintendo release something like that today). Nintendo zapper: Fun toy or insidious military training tool? One day, I had to have a tooth pulled and – to reward me for being tough son of a gun – she borrowed an NES from a friend along with a couple of games, including the original Dragon Warrior (also called Dragon Quest, it’s complicated, don’t ask). From fighting my first slime to getting my first phat piece of l00t, I was hooked. I played Dragon Warrior more than all the other games combined and didn’t even come close to finishing it before, to my dismay, I had to return the system. Ignore his cuteness – this sucker means business – and yes Beau, this is the best resolution I could find. The same pattern repeated itself when I got my wisdom teeth yanked, except this time it was a Super Nintendo and I finished the game. This time it was the story-heavy adventure of Cecil, the Dark Knight and his friends in Final Fantasy II (or IV depending on how you count – it’s complicated, don’t ask). As a young teenager at the time, the emotions presented in that game – betrayal, friendship, love, loss – while perhaps rudimentary by our Last of Us modern standards, captured me and whisked me away. 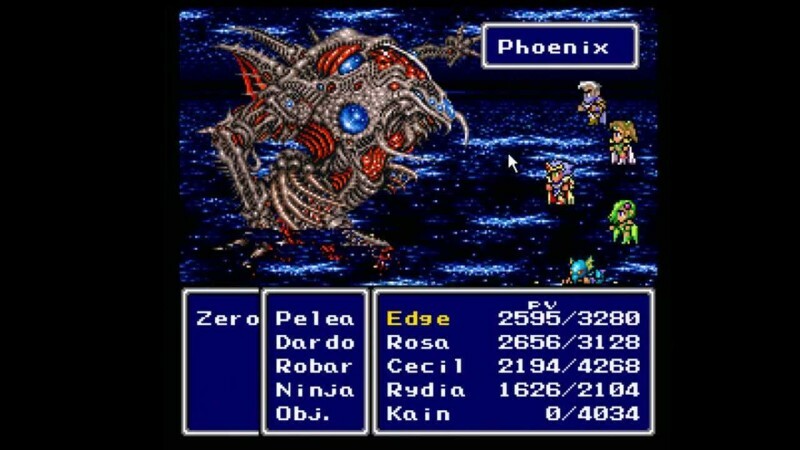 Whereas many of the PC RPGs I played had me inhabiting nameless avatars, Final Fantasy II made me a part of a team of friends, one that bonded together as the adventure took them to the moon and back. And the music! Oh that music! Final Fantasy III followed (or VI, it’s complicated, don’t ask) and upped the stakes further, allowing you to control an epically large cast of characters as they worked to take down an evil empire. Games like Secret of Mana, Chrono Trigger and Breath of Fire helped round out the SNES, each epic in scope with soaring musical scores and intense emotion. These guys are my homies – even that backstabber Kain. 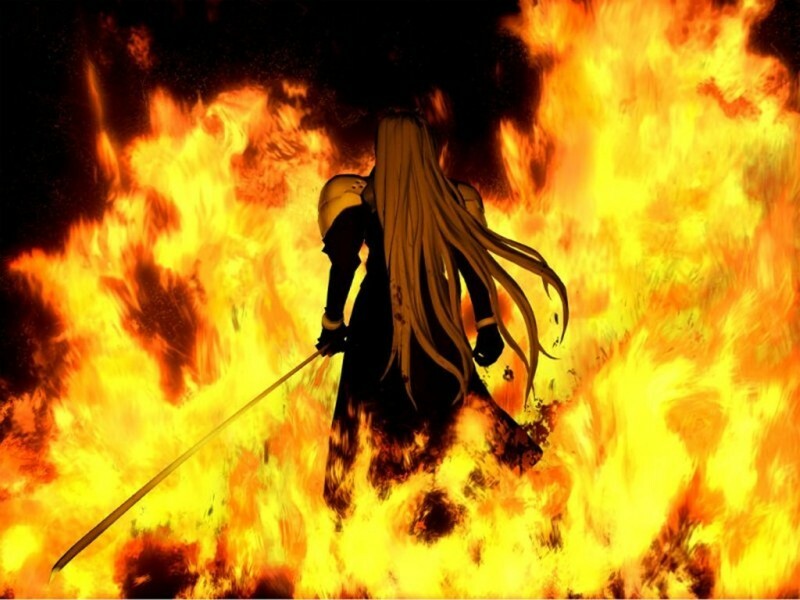 The JRPG reached its nadir with Final Fantasy VII on the original Playstation. Sony pulled off a coup, luring Square away from Nintendo and putting a large marketing campaign behind the first PSX-exclusive FF game. I remember seeing actual television ads! People at my school legitimately asked if I had ever heard of “Final Fantasy” as if it had never existed before. It was completely crazy and while not the sole reason the Playstation beat the Nintendo 64, at least a significant one. Final Fantasy VII came on something like a hundred CDs with video and everything. It was big-time and – twenty year spoiler alert – included the death of a major character. Multiple other JRPGs, including two other Final Fantasys, were released for the Playstation and if you ever look at a “Best of” list of its games, you will see a lot of Japanese content. Some of the games, like Suikoden and Final Fantasy Tactics tried to broaden the narrative scope to encompass entire wars (don’t worry, they were still resolved by teenagers). However, with Halo, Grand Theft Auto, God of War and the Xbox on the horizon, console gaming was about to become increasingly adult. Not only is this not a girl but that sword is also super practical. Crazy, I know! Now time has gone on, gamers have aged and consoles have become increasingly similar to computers. Some of the most complex and mature gameplay experiences now exist solely on console. Time has seemingly not been kind to the JRPG which has almost remained stagnant, evolving little since the days of Cecil and his Red Wings. The narrative tropes are visible, young teens saving the world with their friends, the game mechanics recycled (random battles anyone? ), all catering to the same young audience that is now spoiled for choice. The days of a JRPG making or breaking a game console are long past and many of the franchises have dried up in popularity in the West. As I have mentioned on EXM recently, I am currently playing Xenogears, which many are saying was the last truly great JRPG. I am enjoying it, if partially in a nostalgic way, but at this point I feel like I can see a lot of the seams. I truly hope that the story of Shulk and his friends is resonating with young teens in the same way that Cecil’s Red Wings won me over. The emotion these games possess are powerful and the values they share important but, as sure as one day we have to grow up and become adults, so too does it seem that we are all fated to leave what we all used to view as the most narratively complex videogames behind. Is there a JRPG that meant a lot to you? Is there still room for them in this modern world or are they teenaged relics of a previous generation? Tweet at @exmpodcast or @croftonsteers and let me know!